‘MPs turn to Twitter to talk to voters’ shouts the headline on the Daily Telegraph site today. If the august, if conservative (small ‘c’) columns of the Telegraph are saying it then it must be so. Well it aint. Yes there are lots of MPs on Twitter now, if you call just over a hundred out of 646 MPs a lot. Taking its most of the stats from Tweetminster the Telegraph also notes that John Prescott has over 13,000 followers (at the time of publication it was actually slightly under). Hardly enough to guarantee a Labour landslide. With months to go before the US presidential election the candidates were counting their online support in terms of many hundreds of thousands. Most MP candidates have a few hundred followers. In fact @Election10 beats a lot of them hands down. The online influence of bloggers like Guido is far greater than any MP or parliamentary prospect. There are only weeks to go and whilst the web will undoubtedly play a bigger part than ever before it’s not the MPs who will be setting the agenda, least of all with their paltry twitter followings. Barrister Philippe Sands has cooked up a series of questions for ex-PM Tony Blair as he prepares to face the Chilcot Enquiry into the war on Iraq. They were published Guardian.co.uk yesterday. 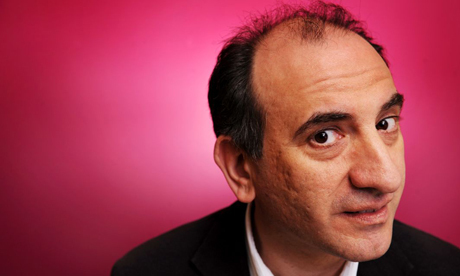 Creator of ‘The Thick of It’ and “hard man of political satire” Armando Iannucci has shrink wrapped them and is using twitter, where he has over 34,000 followers, to publish them. So far he is up to three out of ten and the are gritty to sat the least. 10 Qs for T Blair. No1:Was regime change an aim? Campbell diary Apr 2nd ’02 records you said it was, tho’ Straw agrees that aim is illegal. Q2 for TB: Advisor Manning records Jan23 ’03 yr support for Bush even if no UNvote. Mar ’03 you tell House of C no decision taken. Explain. Q3 to Tony Blair: On Sep 24th ’02, you told Commons Saddam could get nuke ‘within a year or two.’ No intel ever claimed this. Explain. It remains to be seen whether Chilcot is as tough on Tony as the man who co-created Alan Partidge (albeit with the help of a leading QC). Eye Spy MP is a twitter account that grasses up MPs. It is a crowd sourced project that let’s anyone tweet anonumously via @eyespymp (that’s right it does read like eyes pymp) whenever they chance up on MP doing whatever they are doing. It’s anonymous because you email your MP spots to tweet@EyeSpy.MP with the details in the subject line. This is then tweeted by the account. Ingenious. Launched just a day ago we’ve had John Prescott on the train to Hull, George Osbourne taking tea in Portcullis House and Eric Pickles eating doughnuts. Not revolutionary stuff but it’s early days and there’s potential. A similar twitter account called Parliament Spy appeared briefly before disappearing into the ether with the allegation that the source’s may have been open to compromise. Eye Spy is apparently more secure. It may be the work of the ill-fated Parliament Spy or not. Perhaps those wot know might like to comment? According to Martin Bryant writing in The Next Web, the DIY David Cameron site covered in this parish a few days ago briefly overtook both the US Republican and Democrat web sites in terms of traffic, making it possibly the most popular political site in the world, for a brief time. Read the full story on The Next Web. It has become a feature of UK general elections for parties to demonize (remember Tony Blair and his Demon Eyes or Hague in a Thatcher wig?) the leaders of the opposing parties in poster campaigns. Now we can all have a go. One place where you can get started is the ‘Make Your Own David’ application at AndyBarefoot.com. He doesn’t support Labour or the Conservatives. LibDem then. There have been over 30,000 versions so far. We rather like this interpretation that was drawn to our attention by the Sunday Times columnist, India Knight. To view a selection of the best posters go to mydavidcameron.com. Former cabinet ministers Patricia Hewitt and Geoff Hoon are urging Labour MPs to hold a secret ballot on Gordon Brown’s leadership in advance of the 2010 general election slated for this May. They have written to all Labour MPs saying the issue must be resolved. Both Hoon and Hewitt are exceptionally experienced political operators who would not make such an unprecedented attach on the leadership so close to a general election unless they had senior level support, most likely from within the cabinet. It is even more likely that they have the backing one of the potential successors to the Brown leadership. After an apparent split with the Prime Minister and a somewhat bizarre period of political silence, Lord Mandelson has returned to the fold in the last 24 hours which rules him out from any association with the plot. Or does it, there is no more arch a politician in the Labour camp than the ‘dark prince’? Initial observations say the plot is doomed to failure but either way if such deep divides remain at the top of the party hierarchy this may well extinguish the faint glimmer of Labour sustaining enough seats and votes to avoid outright defeat.